Ever been right in the middle of making your daily green smoothie, when you suddenly realize you’ve run out of spinach – or your arugula has turned black and slimy in the bottom of the crisper drawer? Keeping fresh smoothie greens on hand can be a challenge, but there is an easy solution that will make sure you never run out of ingredients mid-smoothie again: Grow your own! 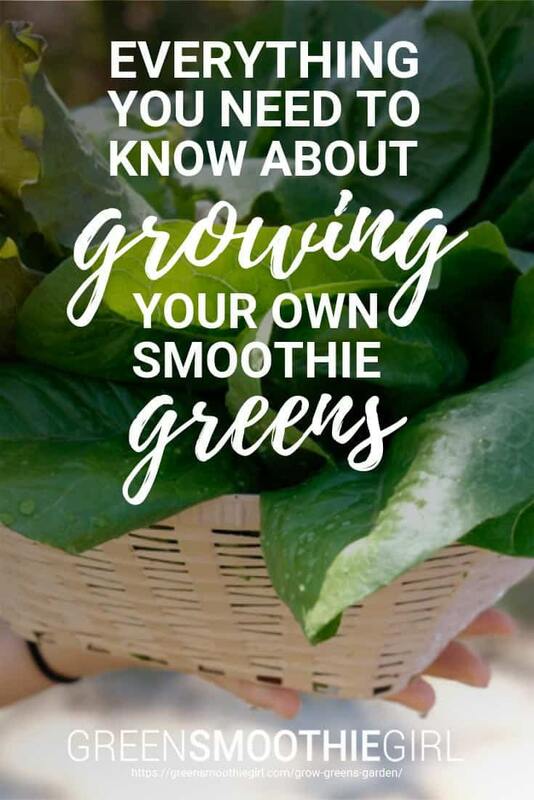 Planting your own smoothie greens garden is a great way to ensure that you have an ongoing supply of fresh, nutritious greens for your smoothie or salad any time you want them. Not only will you have the freshest produce possible, but you’ll save some money, too. Plus, it’s good emergency preparedness, as you’ll become more self reliant when you can produce some of your own food. You may have some initial costs for seeds, soil, or containers when you first plant your garden, but you’ll be able to reuse most of your supplies every year. Plus, you can collect seeds from your harvest to plant next year’s garden, which means that the longer you continue to plant and grow your own greens, the more inexpensive it will get. Whether you have a big backyard garden, a small outdoor patio, or a little sliver of available countertop, there’s a way to grow a greens garden in almost any space. All you need is a little water, a little light, and a little patience – and you’ll be sipping your success in no time! There are obvious benefits to growing your own greens for smoothies – from being able to eliminate the use of pesticides to reducing your carbon footprint by getting vegetables that come from your backyard instead of from across the globe. You’ll also always have fresh vegetables on hand – and at a fraction of the price you’d pay at your local organic grocery store or farmers market. There are also less obvious benefits to growing your own smoothie greens. Research has shown that gardening can do everything from boost your mood and physical fitness to help improve your balance – and your kids’ eating habits! If you’re ready to start your own green smoothie garden, a spacious backyard is a great place to plant it – or you can skip the grass and plant it right in your front yard. Depending upon your location and your climate, you may be able to section off an area for your garden and plant your greens right in the ground. Growing your own fruits and vegetables will save you money at the grocery store. You also can opt to build raised beds, where you can grow everything from lettuce and chard to root vegetables like beets and turnips – which will yield lovely, fresh greens for your daily smoothie. I used Mel Bartholomew’s book Square Foot Gardening to build my garden beds and get exponentially more plants in the same amount of space. Before you plant your backyard or front yard garden, head to your local gardening shop or home improvement store. They’ll be able to offer advice about the vegetables that tend to thrive in your area – along with when and how to plant them to yield the best crops. Garden shop experts or your county home extension service can tell you how soils in your area may be deficient and even test your soil. 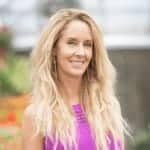 They can also give you suggestions about how to prepare the soil in your area and how to feed your green smoothie garden in safe and healthy ways. But please note that composting is far better than using chemical nitrogen fertilizer, to nourish your crops appropriately. If you need a little more advice, you also can check online for local blogs or community forums where people in your area share their gardening tips and suggestions. In general, you’ll want to plant greens like spinach, kale, and lettuce, and root vegetables like parsnips or turnips in late February or early March. These plants are able to survive a little bit of snow, so get out there as soon as the ground is warm enough to dig. If you’d like to get a jump start, you can start your seeds indoors as early as January or February and transplant the seedlings outdoors when the weather allows. If your home doesn’t have a big yard (or no yard at all! ), that doesn’t mean you’re out of luck when it comes to growing a garden for smoothie greens. A small patio or balcony will give you plenty of space for a container garden of greens. 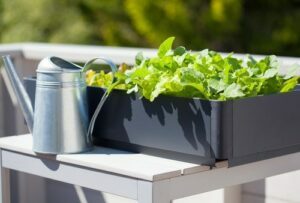 You can buy individual pots, or, depending upon your space, you can build raised beds to grow greens for your smoothies. Growing veggies on your patio is simple and requires very little space. Everything from arugula and spinach to lettuce and bok choy can be grown in containers, and you can even grow root vegetables that have abundant tops of greens – like beets or radishes. You’ll just need the right supplies – including large pots with drainage holes, quality potting soil, and seeds. If you don’t have the greenest thumb, it’s okay to “cheat” with starter plants. You can usually find those in early spring at your local grocery market, hardware store, or garden supply. I look for organically grown, “heirloom” tomatoes to avoid hybridized or genetically modified (GMO) plants. 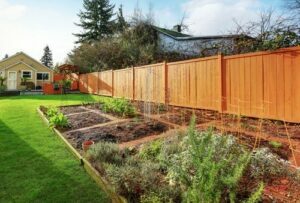 As with a yard garden, there are some crops that are more likely to thrive in your area than others – and you may need to tend to your smoothie greens garden in a specific way depending upon your climate or local challenges (like insects). Most home improvement centers and many big box stores have gardening departments with experts who can offer local advice – or you can check online to see what grows best in your area and how to help it thrive. If you don’t have any outdoor space – or your thumb isn’t exactly green – there’s still hope! 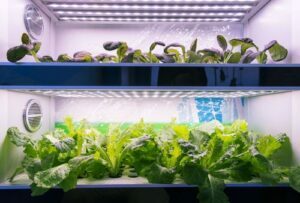 The new wave of hydroponic gardens (like the Aerogarden or the Click and Grow Smart Garden) make it easy for city-dwellers or less-than-skilled gardeners to reap the rewards of a greens garden right from their countertops or balconies. Hydroponic gardens use 90% less water than traditional soil gardens. Once you’ve selected your pods, you fill the basin with water, add the supplied nutrients, and pop your pods into the garden’s reservoirs. The garden will cycle the grow lights and pump water as needed, and it will alert you any time you need to add nutrients or water. Your smoothie greens should begin to sprout in about 7 to 10 days, and after a few weeks, you’ll be able to start harvesting them. The beauty of growing most greens is that the more you harvest, the more robustly your greens garden will grow. Depending upon the number of pods you plant, you may be able to cut your greens as often as every other day – giving you fresh smoothie ingredients on a regular basis. A countertop hydroponic garden is a great way to grow smoothie greens indoors all year long – but if you don’t want to invest in a pricey new appliance or it isn’t practical for your space, you can grow smoothie greens in pots indoors. For best results, buy starter plants at your local store and transplant them into large pots using indoor potting mix. Place them near a window that gets plenty of natural light, and be sure to feed and water them on a regular basis. Your success may depend on your climate and your abilities, but a greens garden in your windowsill can still be an effective way to grow your own ingredients for smoothies indoors. 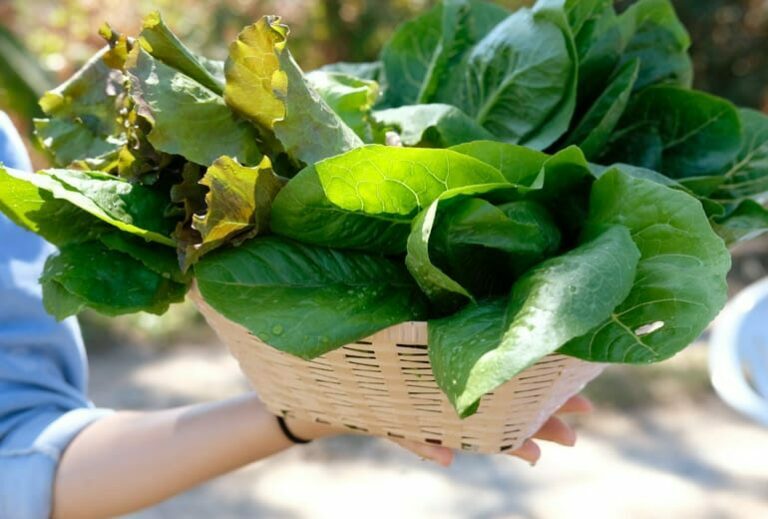 No matter how or where you grow your own greens for smoothies, a garden is a great way to lower your costs, ensure that you always have fresh quality greens on hand, and boost your health and well-being. Plus, growing a smoothie garden is a ton of fun, from planting the seeds and watching them sprout to that glorious day you can finally sample your homegrown greens. Get out there, get growing, and get ready to raise your glass – of smoothie greens, of course! Cathleen D. Zick, Ken R. Smith, Lori Kowaleski-Jones, Claire Uno, Brittany J. Merrill, “Harvesting More Than Vegetables: The Potential Weight Control Benefits of Community Gardening”, American Journal of Public Health 103, no. 6 (June 1, 2013): pp. 1110-1115. Van Den, A. E., & H.G., M. (2011). Gardening Promotes Neuroendocrine and Affective Restoration from Stress. Journal of Health Psychology, 16(1), 3–11.